This is The Mick Fleetwood Blues Band live at Fabrik, Hamburg, Germany, on the 12th October 2008. This makes a great companion to the officially released live album 'Blue Again' (recorded live at the Sheldon Concert Hall in St. Louis, Missouri in February of 2008) and we would urge anyone interested in this show to check out that album if you have not already done so. Blue Again received a 2010 Grammy nomination for 'Best Traditional Blues Album'. 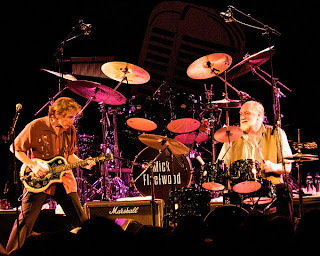 This concert features some alternative songs to the official release and is a great reminder of the incredible material from the original 1960's Fleetwood Mac. Set List: 1.Looking For Somebody. 3.Rollin' Man / Voodoo Woman. According to his website Matt Stevens is a musician and composer from North London. An instrumental artist, he uses an acoustic guitar and a sampler to create multi layered tracks live. This is often called Live Looping. His music is compared with artists as diverse as John Mclaughlin, Johnny Marr and Sigur Ros. He plays live all over the UK from festivals to house concerts. His new album Ghost released today (June 1st) arrived in my inbox last Friday and has been playing on and off all weekend. This guy is really talented and the instrumental acoustic music takes you in many different directions and styles. Please check Matt Stevens out, it's a great shame that so many radio stations seem to shy away from 'instrumental' music as talented and creative work like this can go un-noticed, but not if Beehive Candy can help it! 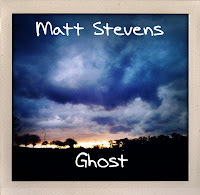 You can download 'Ghost' and more from Matt Stevens website below.